Of course these days, with prices that’ll make your skin itch, it’s no wonder some people prefer to take their chances without it despite the warning signs that it’ll come back to bite them. 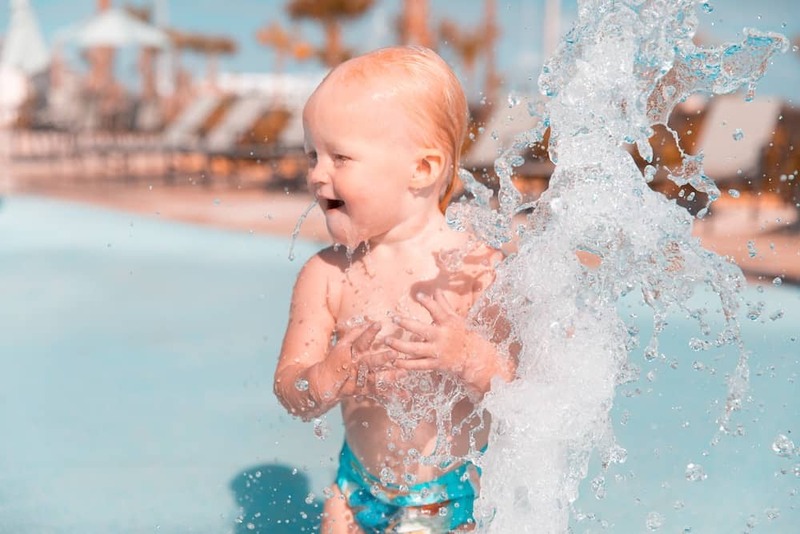 In this article, we’ll be tackling the most important questions asked by sun-goers in an effort to bring world peace people up to speed on the why’s, when’s and how’s of sunscreen protection. What Are Sunscreens & How Do They Work? You already know that sunscreens protect you from the sun, but it’s worth understanding how it works so you can make better decisions about using it. Most sunscreens are made from chemicals and minerals combined to work at blocking UVA and UVB rays. They do this through a natural oil which is heavy enough to stay on the body without too easily washing off. 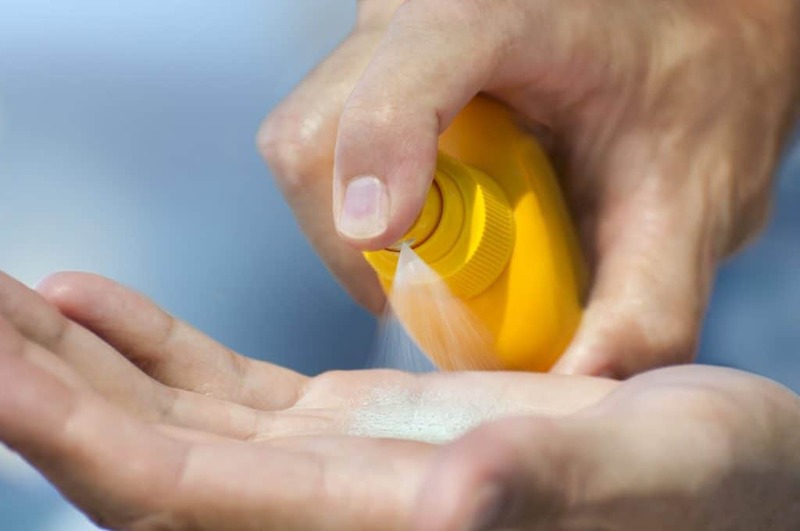 There are various ingredients in a bottle of sunscreen, but there are several you should avoid as they can be bad for your body, the environment, or both! Crazy what get’s past retail standards, huh? While there’s no olympic sport for applying sunscreen, you might be surprised to know that most people still manage to get it wrong. In fact, there’s reason why dozens of videos like the one below have surfaced all over the internet, teaching folks how to apply it effectively. The view counts don’t lie. But it’s not just the how that should be explored here, but also the when. One of the biggest mistakes people make is waiting too long to apply sunscreen. The “I’ll do it soon” mentality is one that’ll get you into trouble, as it only takes minutes for your skin to start burning. So when exactly should you apply sunscreen? Experts tell us we it should be applied around 15 to 30 minutes before we head out into the sun. This is the amount of time it takes for the skin to absorb your sunscreen and start protecting you. As a rule of thumb, you should use around 7 heaps of a 5ml teaspoon, the size you’d use to stir your coffee, or when giving medicine to a kid. This means around 35ml in total as a minimum guideline. Don’t forget those essential areas such as hands and feet, tips of the ears and areas harder to reach on your own. Scalps are also the most ignored areas of the body, and ironically the most exposed. Likewise, health professionals report many cases of skin cancer around the face, which suggest this is another area some people ignore. This might be because some think cosmetics or everyday creams that claim to offer SPF in them will work just as well – they don’t! The SPF, UVA and UVB protection in these products are minimal. The answer is to put on your cream first, and then your sunscreen, and any makeup last. A great tip for the face is also to use a lip balm which has a high SPF because the lips are usually ignored when covering up in the sun. Make sure you still apply your sunscreen to areas of the body that you don’t intend to uncover. This is especially important if you’re wearing very thin layered clothing, like most of us will do during the warmer weather. Finally, don’t forget to rub in your sunscreen gently, not furiously! What About Those Strange Letters on The Bottles? SPF: This means Sun Protection Factor and it tells you the level of “protection” offered in relation to UVB rays, but not UVA. UVA: This means Long-Wave Ultraviolet A. These are the rays that increase aging of the skin and encourage wrinkles. UVB: This means Short-Wave Ultraviolet B. These are the rays that increase the burning of the skin. When deciding on the SPF’s to buy, the higher the number, the better. However, don’t make the mistake of thinking that just because you’ve got an SPF of 50, you can stay out longer. Unfortunately, it doesn’t quite work that way. But the more protection you can get, the more chance you give your skin at coping in the sun. SPF simply gives you an idea of how long it takes for your skin to burn in the sun, against how long it would take to burn without. So, for example, if you use a factor 50, your skin will take 50 times longer to burn than without using it. But, don’t go for the lowest SPF as much as you can help it. Aim high here always! SPF’s usually start at around the 2 mark but go as high as 100. SPF 15 should really be the lowest level you consider, with 50 being the most commonly used one. Okay, so with this increase in numbers usually comes a higher price, but it’s a price worth paying if it means you’ll be properly protected. Note — As well as the highest SPF number, we’re now also being encouraged to choose a sunscreen with a high number of stars for UVA and UVB purposes. Once again, the professionals tell us to aim for 4, but sunscreen with 5 stars ratings for both UVA and UVB will be your best choice if possible. If you’re out and about in the sun throughout the day, you’ll need to reapply your sunscreen at different times of the day. Experts once again say about every one to two hours is a good aim, but you’ll also need to rely on your common sense when you consider how you’re spending your day. Next time you find yourself in the aisle with all the various sunscreen bottles, think about how you usually react to new creams and makeup products. For some adults who struggle with certain types of these, some sunscreen choices can encourage the skin to flare up, especially the face. With children, this is more of a problem due to their younger and more sensitive skin type. If you find that your skin breaks out easily, think about choosing a sunscreen that is dermatologically tested and hypoallergenic. Usually, most kids sunscreen products will promote this anyway. Should You Make Your Own Sunscreen? With such high prices and suggestions of chemicals, some people try making their own sunscreen, instead of buying it at the store. However, this isn’t recommended by any health professional. Not only can you unknowingly add questionable ingredients into the sunscreen, doing you more harm than good, unsurprisingly such homemade sunscreens will never have the right amount of protection that you need. This means there’s going to be nowhere near a high enough SPF or UVA and UVB protection. When you think about it, the companies that make sunscreen invest millions upon millions of dollars trying to get this stuff to work as best as it can. 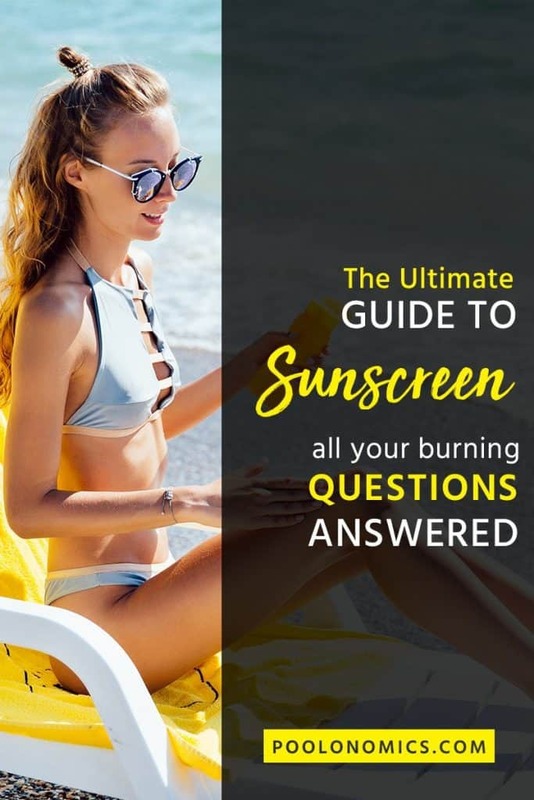 As none of us have multi-million-pound labs to test our recipes, why risk the chances of burning and possibly skin cancer through trying to recreate your own sunscreen? As with most products, there’s always a debate about whether the cheaper of brands are as good as the named and well-known brands. The same argument exists with sunscreen products. However, when it comes to sunscreen, the name of the brand isn’t a cause for concern. Instead, it should be about what it can offer you with its SPF levels and UVA and UVB ratings. So, if you find a cheaper and unknown named brand of sunscreen, and it offers 50 SPF and 5 stars UVA and UVB protection, there’s no reason to ignore it in favor of an expensive well-known branded sunscreen. If you’ve ever had the dilemma of choosing either sunscreen or sun cream, don’t worry, we’ve all been there. Most people prefer to use sunscreen on their body simply because you can’t see it as clearly on the skin. Sun cream, on the other hand, can be quite heavy on the skin and often leaves you looking pale and ghost-like. Hardly synonymous with having that perfect, glowing beach body. The truth? There’s no right or wrong answer. It’s largely down to personal preference, and while there are some cases of skin irritation and rashes with more sensitive folks, the argument often swings both ways depending on who you ask. Many kiddy sunscreens come in spray bottles. Now, while kids may find this so much more fun than boring bottles, it’s not a good idea to spray the sunscreen straight onto the body, especially the face. In fact, it’s not recommended when using adult spray bottles either! And, if you’ve ever tried spraying sunscreen, you’ll know exactly why this is! Instead, spray the sunscreen directly into the palm and continue to put this type of sunscreen on as you would from a standard bottle. That way you’ll cover all the right areas. It’s worth remembering that a child’s skin will burn so much easier and quicker than adults. As for those babies, especially those under 6 months, it isn’t a great idea to expose them to the sun. Many sunscreens aren’t recommended for those under 6 months of age, so this tells you all you need to know here! Try to work at keeping younger ones out of the sun during peak periods, where it’s possible, and protect them in as much sun-clothing as you can; not forgetting those all-important sunglasses. Does Sunscreen Do What It Says On The Bottle? Though sunscreen works at protecting you from the sun and offers a level of protection better than that of no sunscreen, you shouldn’t only rely on sunscreen to protect you. 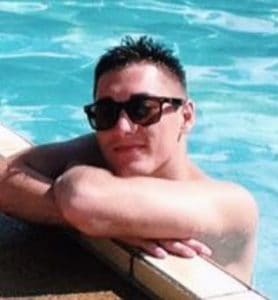 Other factors include wearing sun protective clothing (especially hats) and aiming to stay out of the sun when it’s at its highest, usually around 11am to 3pm. Finally, check the date on the bottle. Sunscreen is only effective for around 3 years. So a bottle of sunscreen pulled out from the back of the cabinet, which has possibly sat there for 5 years or so, won’t quite cut it! As long as you apply your sunscreen correctly, use the right amount, go for the highest factor and reapply it regularly, you’ll find there’s no reason it won’t protect you when you’re out and about in the sun. Remember, the key here is to aim for prevention, not cure.